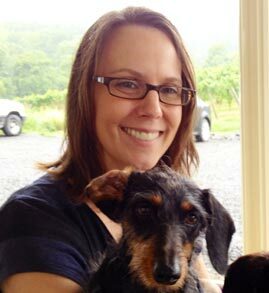 Vineyard owner champions new Virginia law allowing dogs inside tasting rooms. It’s 11:00 a.m. on a summer Saturday in Delaplane, Virginia. At Barrel Oak Winery (BOW) the staff is gearing up for another packed weekend of wine tasting, music, festivities and dogs. Cars already line the hilltop parking area. Visitors are steadily rolling in and quickly claiming a place to congregate for the duration of their visit. Along the sloping hillside in front of the main house, picnic tables with sunshelding umbrellas beckon dog owners to come, sit and stay awhile. By noon, the tables will be filled with families and groups of friends talking, drinking and eating alongside their pups. “We’ll have 1000-1500 people here today...About 1 dog for every ten people,” says Brian Roeder, Barrel Oak’s owner. When they have dog rescue events, there are even more dogs, and that’s fine with Roeder and his team, because at Barrel Oak Winery, dogs are a central part of the winery. Their logo features a dog sitting under a tree. The walls of the tasting room are adorned with adorable paintings and photos of pups. Free doggie treats are provided at the tasting bar. Water bowls are strategically placed around the property. And of course, there are poo stations so you can properly clean up after your pup. 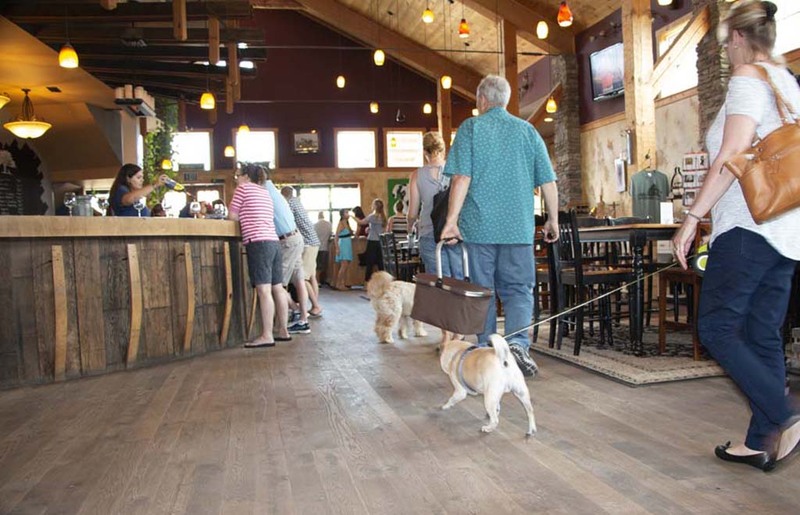 Photo of Barrel Oak Winery's dog-friendly tasting room. Photo by Jeremy Glesner, All Rights Reserved. 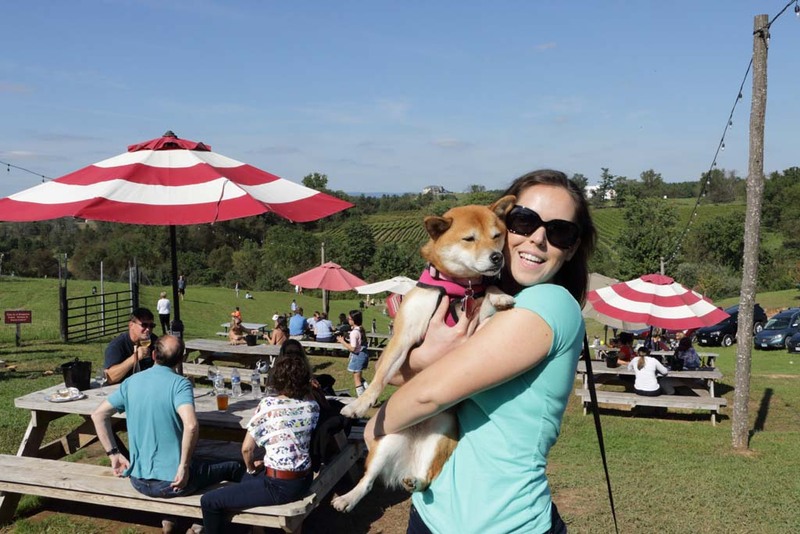 Thanks in large part to the success of dog-centric vineyards like BOW and Chateau Morrisette Winery, today there are 187 dog-friendly (dogs allowed at least outside) vineyards/wineries in the state of Virginia, according to our Cork Hounds data. Dogs and their owners have proven good for Roeder’s business. A passionate dog owner himself, he knows all too well that when you leave your dog behind, your trips tend to be shorter. Nobody can leave their dog unattended for too long, so why not welcome dogs and encourage people to stay for as long as they want? He freely admits, allowing dogs can be a headache at times, and adds to his team’s workload, but they all love dogs and know they are important to the success of the winery. For Roeder and his business partner Sharon, opening BOW was never about a hobby, but creating a profitable business that offered an enjoyable home away from home for the community. And allowing dogs, he says, makes all that possible. Photo of Barrel Oak Winery's outdoor tasting bar. Photo by Jeremy Glesner, All Rights Reserved. “Take away the people with the dogs and you’re probably taking away 20% of our revenue,” Roeder explains. That came close to happening in 2018, but thanks in part to Roeder, it did not. The state of Virginia has close to 250 vineyards, and according to Roeder, only about 20 of those are the size of BOW and maybe 50 that are commercially viable. “There are probably 50 working to pay their bills affectively and then the rest, are very serious about what they are doing but really struggle or it’s just a hobby and they make wonderful wine,” he says. For the most part, Virginia’s wine growers are a very collegial group, Roeder explains. However, on the issue of allowing dogs at vineyards, there has been some friction. He is both blamed or praised for making it popular. They either think it’s a great idea and have followed suit by also opening their doors to dogs, or bemoan that now they have turn away potential customers. The heart of the debate has been allowing dogs inside the tasting room. An old obscure Virginia law prohibited them from being near the manufacture of food or wine/beer. Few vineyards knew about the law or felt it applied to them -- wine making is usually conducted away from the tasting room and only a few places actually prep food in their tasting room. In the summer of 2017, the Virginia Department of Agriculture and Consumer Services started receiving complaints about dogs in tasting rooms. The Department began cracking down and enforcing the pre existing law. Worried they’d be slapped with hefty fines, wineries and vineyards started changing their dog policies. For dogs and their owners, it appeared, they’d be left out in the the cold. It was a tough time Roeder admits. But in January of 2019, he got a call from Virginia Delegate John Bell’s (D-87th) office. Delegate Bell was sponsoring a new bill that would give vineyards permission to allow dogs inside tasting rooms. They wanted Roeder to come to the capitol and testify. He agreed. 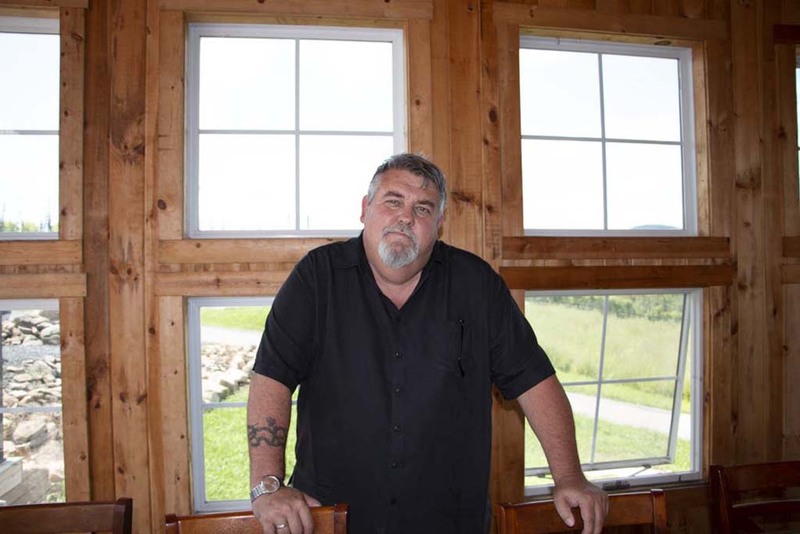 Photo of Barrel Oak Winery's owner, Brian Roeder. Photo by Jeremy Glesner, All Rights Reserved. With his testimony and the full support of the Virginia Wineries Association and VA Wine Council, a lobbying group, the bill easily passed into law. As of July 1, each winery can now choose whether or not it wants dogs in their tasting room. This is a great relief to Roeder and for other wineries that want to welcome dogs inside their tasting rooms. “I’m very happy with the outcome, I worked on the outcome, I put my time where my mouth is,” he says. Since July 1, 2018, there are 96 Virginia wineries/vineyards that now allow dogs inside their tasting rooms, Cork Hounds data reports. Photo: A dog and its owner enjoy the picnic area at Barrel Oak Winery. Photo by Peggy Mihelich, All Rights Reserved. Back at BOW vineyard, the festivities are in full swing. Large groups of families and friends are enjoying wine, picnicking and taking their dogs for walks along the grounds. When Roeder and Sharon opened the winery in 2008, he knew he was creating a vineyard, but also a place of community. Dogs have helped facilitate new friendships between strangers. It’s a scene Roeder see’s played out almost every day at BOW. Someone approaches a person at the tasting bar with a dog. They ask to pet the dog, the owner says yes, and a conversation begins. They may meet up later on and continue talking. “So many people have met here at BOW over their dogs and are now good friends. BOW helps to create wonderful memories,” he says. 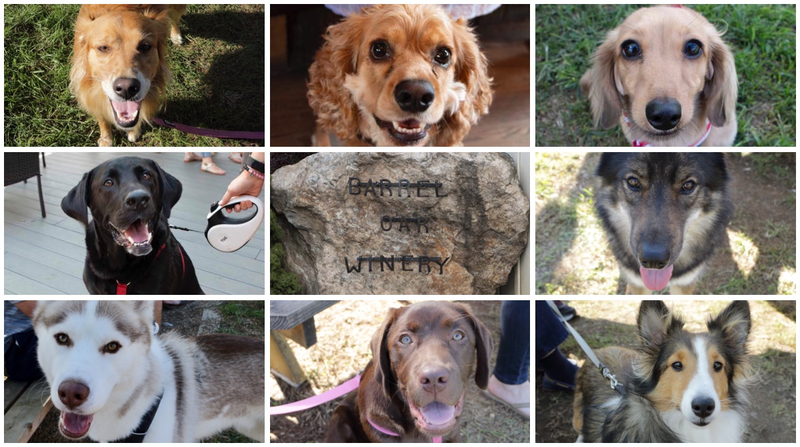 Cover Photo of dogs visting Barrel Oak Winery by Peggy Mihelich. All Rights Reserved. Peggy is a DC-based digital content maven who loves dogs and wine. She has over twenty years of experience producing and managing websites.